It's one of the toughest economies in years, but don't fear - the doctor is in. Are you among the thousands of retailers frustrated by market challenges and looking for ways to take control of your business? Are you looking for the advice of an expert consultant, but unable to spend the money? 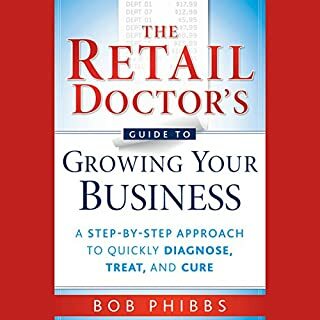 Then The Retail Doctor's Guide to Growing Your Business is for you. By providing a step-by-step approach to evaluate your current business practices, The Retail Doctor offers professional guidance. Best book for general retail I've come across! This book provides tangible and practical methods for turning ideas into action. 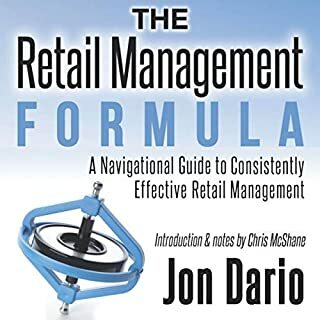 With step-by-step instructions for establishing effective retail management routines, Dario delivers a complete program for laying the foundations of strong managerial behavior. The principles presented here can be used by both individual retail managers to achieve success and by senior leaders of an organization to serve as the core of their management training and development program. 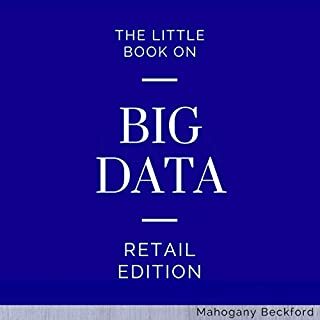 This practical guide for retail-analytics beginners reveals how to leverage big data to improve the way that your retail operations function. The Little Book on Big Data provides explanations of big data tools as well as an awareness of implementation opportunities. Case studies and real-world examples show how to effectively use this powerful technology to help create effective, long-term improvements and increase profitability. In the last 25 years, I have taken over many failing businesses, and each time I took it as a challenge to see if I could improve that business. I am happy to report that my success rate is around 85 percent. 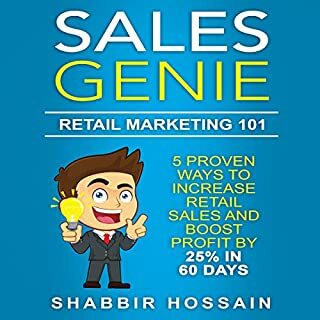 I take a time tested step-by-step marketing approach and make sure every step is followed and completed - some of which I have shared through my blog and podcast, but I have decided to summarize them all in this book, so they are easy to find under one roof, so to speak. We are just witnessing the start of the radical changes in retail that will revolutionize shopping in every way. As Amazon and other disruptors continue to offer ever-greater value, customers' expectations will continue to ratchet up, making winning (and keeping) those customers all the more challenging. In The Shopping Revolution, Barbara E. Kahn, a foremost retail expert and professor at the Wharton School, examines the companies that have been most successful during this wave of change and offers fresh insights into what we can learn from their ascendance. Managers are the heart, soul and brains of any retail operation. Lessons Learned in Retail Management breaks down the manager's role in four parts: the importance of understanding financials, the skills needed in managing people, finding the lost art of customer service, and the importance of personal development. 25 years in the making, it contains successful tools for building strong foundations and turning stores around. You can be a successful manager - no matter how tall the ladder of success may be. The retail world is undergoing a fundamental transformation. Rapidly evolving technology, globalization, and a saturated marketplace offer consumers instant access to thousands of equally compelling products and services, creating unprecedented levels of expectation. The impact of these changes is so profound that 50 percent of today's retailers and consumer companies will not survive it. Traditional business models will become extinct, and the relationship between vendors and consumers will shift dramatically. This essential formula, Lewis and Dart argue, is responsible for virtually every retail success story of the past few decades. So while the landscape may never look the same, The New Rules of Retail gives business leaders the tools they need to not only survive, but thrive. ©2010 Robin Lewis and Michael Dart (P)2011 Audible, Inc. This is a require text for anyone that is in retail. Its highly educational and very informative. Beside explaining the modern retail and dot com business, the authors go into detail on how Sears got started with their catalog business. They became the forefathers in retail by starting in the late 1800's and how they are failing in our present time, but yet almost all retailers starts with the basic principle that Sears established. It starts with the old and ends with the new. Pretty good overall history on how the consumers became a brand for all retailers. 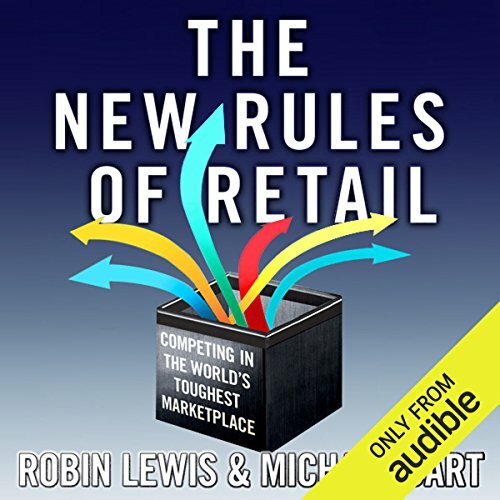 Would you consider the audio edition of The New Rules of Retail to be better than the print version? I've never read the print version (but I have it and will read it for sure in near future). What does Brian O'Neill bring to the story that you wouldn’t experience if you just read the book? The performance was maybe even better than I would expect from reading the book along by myself. Very good passages about today's fast fashion companies. 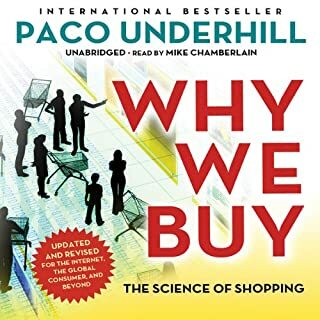 Very well written, the book describes in a very well organized and illustrated manner the evolution of retailing to the present days and ilustratesthe strategies and tools used by world leading companies in the pursuit and development of customer centered strategies. Being new to the world of retail, this gave me a great overall understanding of what it takes to compete, what the best retailers do that makes them great, and why other retailers are floundering. This isn't a technical book and it doesn't get below the surface of the theories of the authors, but that wasn't their intent. For each of their core theories about what makes a retailer great/competitive, they provide ample examples among the companies that are excelling, failing, or somewhere in the middle. The book also gives great history of the early waves of retail and how those differ from and have lead to the current phase. 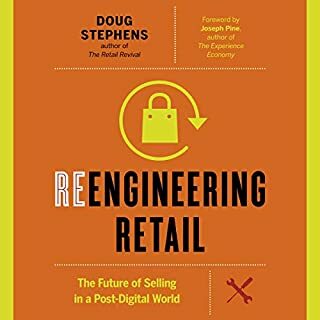 This book is meaningful to anyone in the retail industry or looking to invest in retailers and provides fundamental knowledge of what retailers must do to compete in 2011. As a side note, retail investors may also want to read "The New Science of Retailing", which gets more technical regarding how to identify the health of a retailer from the outside through financial analysis. Interesting for businesses and consumers alike. What did you love best about The New Rules of Retail? Covering the history of retail through Waves I, II and III with concrete examples and tying it to new trends and how retailers and brands can respond to consumer and marketplace shifts. What other book might you compare The New Rules of Retail to and why? What about Brian O'Neill’s performance did you like? The pace of the performance was good. It might be helpful in the recording to call out areas where illustrations were used and available in the separate pdf. That would make it easier to go back to a refer to later. Would you listen to The New Rules of Retail again? Why? Yes, there are always new, interesting facts that you did not pick up the first time. It is easy to listen to and easy to follow - even if you are driving ... You learn as you go. You can process it much faster (general audiobook advantage). Very good book. If I had to say, what could be better: I'd prefer it to be a little more concise in some parts and go a little bit deeper in the operational business (e.g. talk about useful KPIs etc). But for an overview regarding the development of Retail and to understand the most important things to win in Retailing, on a high level, this is great. I don't know. I just konw the audible version. After I decide to buy the print version. What was one of the most memorable moments of The New Rules of Retail? Excellent and concise retail evolution story! The writers through a very descriptive and well told story of the evolution of retailing, set the stage for the future as we know, and will discover it. The narrative is very good, maintaining your focus on the concepts. For all those interested in retailing a must read/ hear! It was very good. Although, it doesn't go into small businesses much, it's mostly about large businesses. I loved the history lesson on Sears, JCP and other big name companies and how they got started and how they fell. It's good to know these things as your company grows and reminds you to make things scalable and be aware of falling down fast. I enjoyed it as it has lots of facts and stuff. I wish it had more about small business and how the new rules of retail can benefit us the little guys.